No one wants to hear that he or she has high cholesterol. It can cause arteries to harden and lead to strokes and heart attacks. Often, people panic over high cholesterol and jump on board with taking medication before considering their diet and lifestyle and seeing what can be changed first. Sometimes, lowering cholesterol is just a matter of changing what you do and how you eat. Knowing the sources of good and bad fats and how they work together can mean the difference between taking medication or controlling your cholesterol on your own. Be sure you keep your doctor in the loop with anything you do. 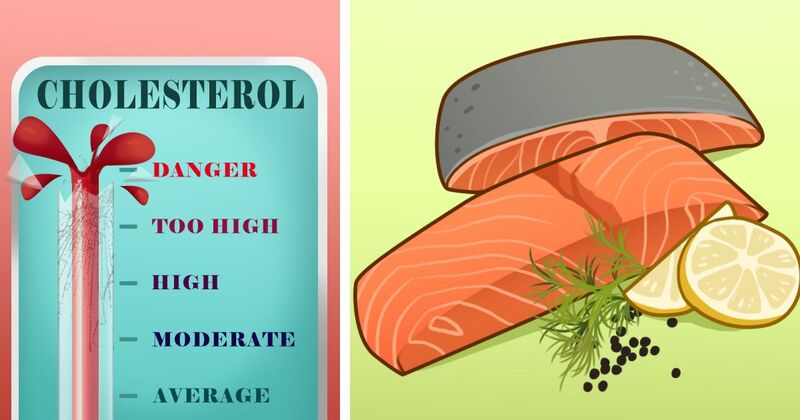 Below are 5 easy things you can do to manage your cholesterol naturally. 1. Eliminate trans fats and saturated fats. One of the best things you can do according to Harvard Medical School is decreasing your intake of trans fats and saturated fats. Don't increase your sugars in order to eliminate these fats, though. They are just as bad. Eating red meat, shrimp, fatty cheeses, and butter can still be enjoyed, just not as often. 2. Increase polyunsaturated and monounsaturated fats. Another recommendation by Harvard Medical School is to increase your intake of the good fats. These lower your LDL. Soybean oil, olive oil, peanut oil and other plant oils are a great way to find these oils. Eating tuna, salmon, trout, herring, and sardines will also help you get these oils. 3. Increase fiber. The Mayo Clinic says that adding soluble fiber to your diet can also lower LDL. Whole grains, nuts, beans, fruits, and vegetables are great sources of fiber. Harvard Medical says the deeper the color of the fruit and vegetables, the better they are for you. 4. Exercise. Most of us don't think of exercise affecting cholesterol, but WebMD says that doing aerobic exercise for 30 minutes four days a week will also make a difference in your cholesterol level and help you lose weight. 5. Reduce stress. Stress drives up cholesterol levels, so WebMD recommends finding ways to reduce stress in your life. Take time to laugh as well. Finding ways to control your cholesterol is more than just changing your diet. It means taking control of your life and making conscious choices to relax and let your hair down. It means taking care of your body. With a little TLC, you may be able to lower your cholesterol without needing medication.